Every year editor Steve Berman publishes one special collection after gathering the best of previously published gay speculative fiction stories written by a wide variety of authors. 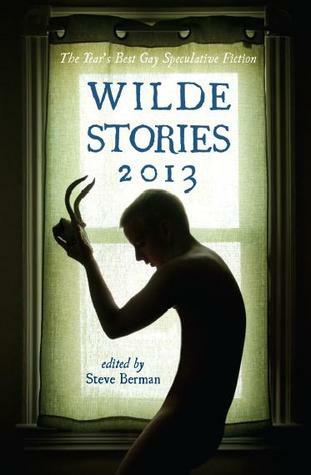 I've loved Berman's collections in past years and Wilde Stories 2013 is no exception. This year's volume, however, is memorable for the different and interesting young adult speculative fiction short stories included. They provide this volume with adventure, a touch of whimsy, and yes, an edge that I really enjoyed. Breakwater in the Summer Park by L Lark is a light and fun summer camp story with a mysterious monster in the lake whose presence inadvertently helps two boys whose lives are full of insecurities and personal fears about the future. I enjoyed this story in the Boys of Summer* anthology and although it is one of the lightest stories in this collection, it definitely belongs. The Keets Variation by K.M. Ferebee on the other hand has young adults as main characters, yet the dense narrative and heavy subject matter give this story edge and weight. Tatooed Love Boys by Alex Jeffers is queer fantasy at its best. With a plot that shifts and curves, this story takes the characters and the reader on a wonderful ride. I initially read Wave Boys by Vincent Kovar in The Touch of the Sea* anthology and loved it so much that it made my 2012 short story "best of" list. This dystopian young adult story is memorable for its fantastic world-building, great adventure, and characters that I feel should be further explored -- it was a pleasure re-reading it again! Another young adult story with excellent world-building is Next Door by Rahul Kanakia. This is an action and anxiety driven futuristic science fiction short set in a society where technology trumps humanity. Then there's the fantastic and unforgettable story about a boy and his wolf, Sic Him, Hellhound! Kill! Kill! by Hal Duncan. I've never read anything like it. There are some rather ironic references to those dreaded sparkly vampires and the girls who admire them, but what can I say? This story cracked me up, particularly since it is narrated from the dog/wolf's point of view! ---Hello hello hello hello! I love you! ---Yes, I know, I love you too. ---But I really love you! I missed you so much! ---And I missed you too. Yes. I did! Oh yes I did! Now, down you go. Bucky grinned me back a picket fence full of pleasure. The toxic waste that riddled his cavities gave them a wonderfully fluorescent neon gleam. His scales glittered as prettily as those of the dead mackerel had. Changing gears, in Laird Barron's A Strange Form of Life his talents are displayed in all their glory and can be fully appreciated as, in short order, he weaves a fantastic Lovecraftian horror piece. Grierson at the Pain Clinic by Richard Bowes is such a gripping and unique story, about a man and his rather disturbing Shadow, that I couldn't stop thinking about it. And the fantasy, myth-based, whaling adventure Keep the Aspidochelone Floating by Chaz Brechley is another story from The Touch of the Sea anthology that made my 2012 "best of" list. Re-reading this well-written, detailed piece full of action, pirates, and a love story between a mariner and his boy was a pleasure. I had a tough time choosing favorites in this volume of the Wilde Stories series. Steve Berman included a wide range of stories and gay themes, as well as an excellent mixture of writing styles in Wilde Stories 2013. Combining young adult and adult speculative fiction not only added a creative edge but a unique touch to this collection. Find this and all speculative fiction titles mentioned above here. 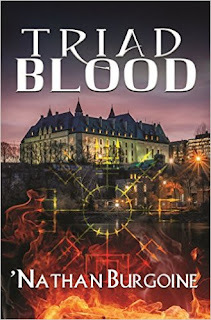 I really enjoyed this collection, Steve -- Duncan, Vernon, Bowes, Jeffers, Barron... I can go on. It was a pleasure.